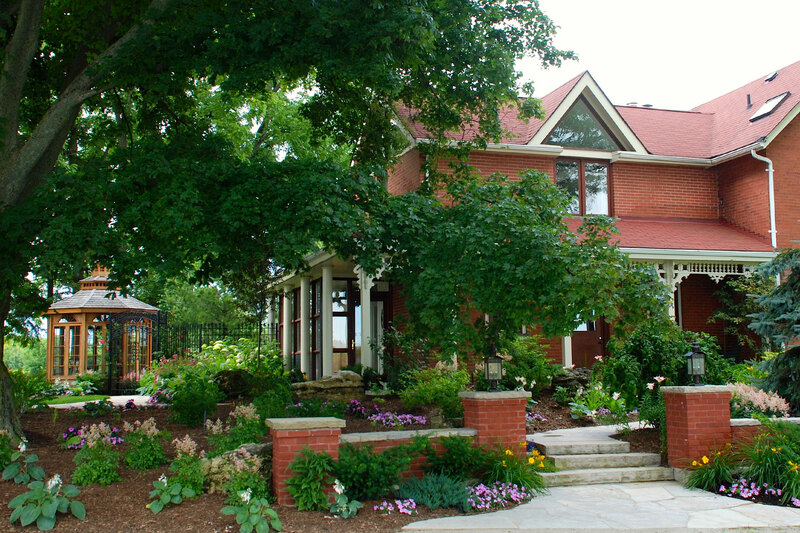 Nestled in rural Ontario is this 100-acre, century-old farmhouse. Our Rural Advantage clients did not have a specific vision in mind—they simply wanted to create a warm and welcoming property. One of the biggest obstacles was overcoming the extreme wind that this property experienced. 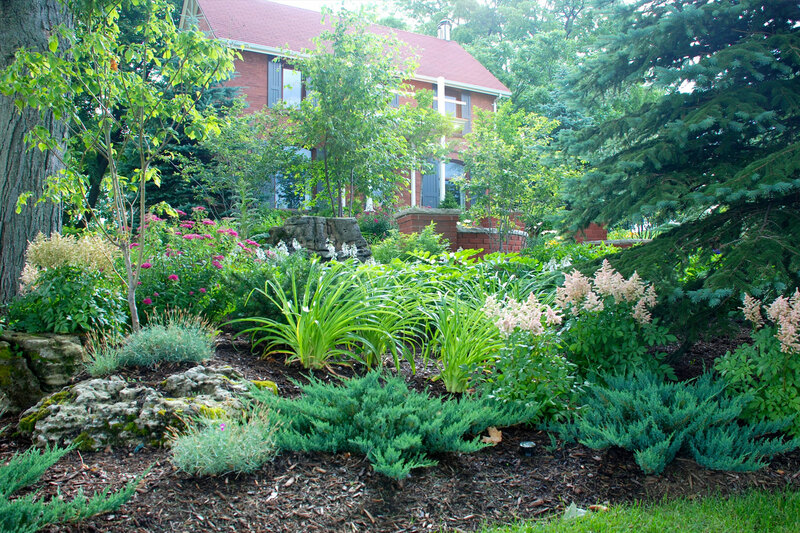 For the clients to be able to enjoy their property, several natural barriers such as berms, swales, and trees were implemented to deflect the wind over and around the house. For the winter months, snow voids were also created to reduce snowdrifts and winter maintenance. 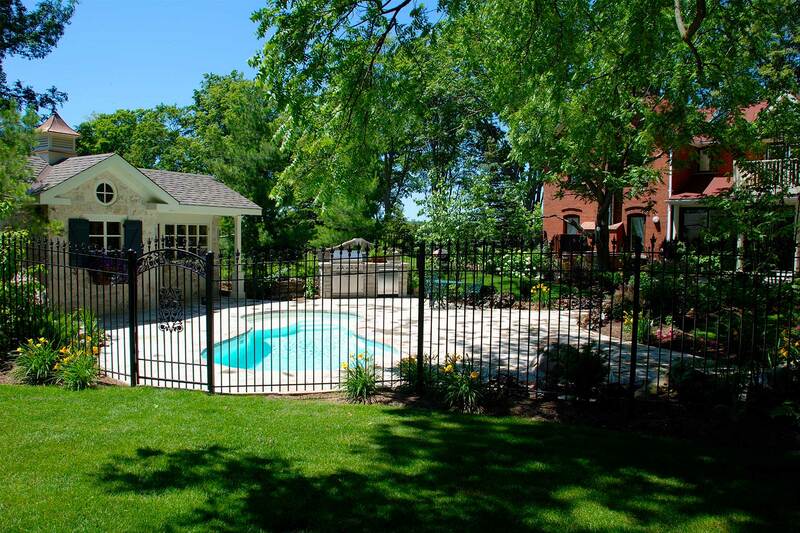 Finally, a cabana was positioned and constructed to further deflect prevailing winds, essentially creating a no-wind zone across our client’s backyard. 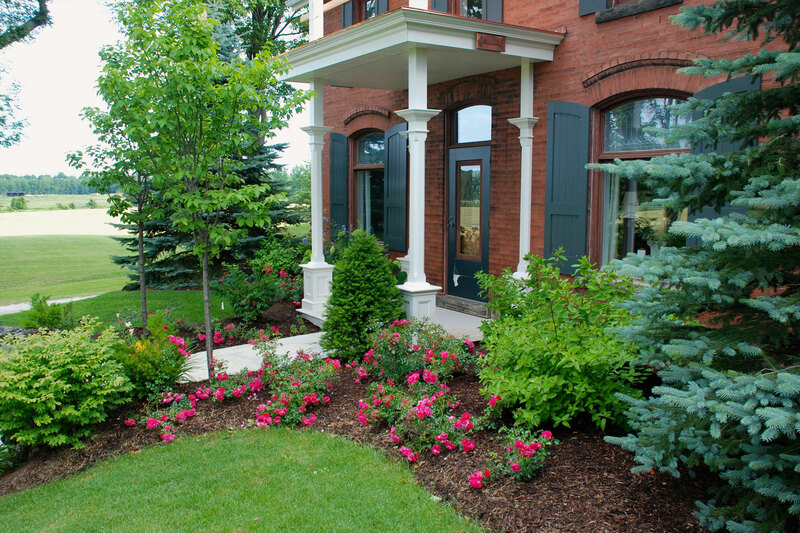 Throughout the property, plant material was added to create visually appealing elements and a welcoming fragrance. 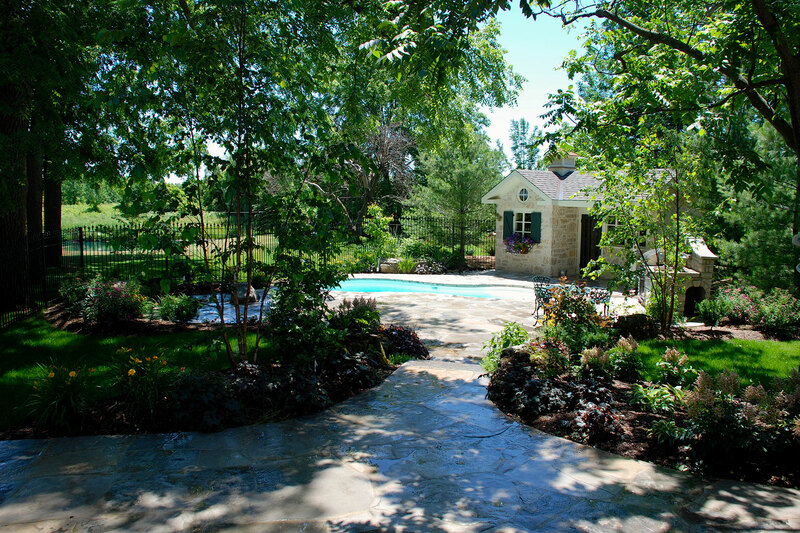 Year round, our clients enjoy the view and aroma as they walk amongst their gently winding garden walkways and paths. 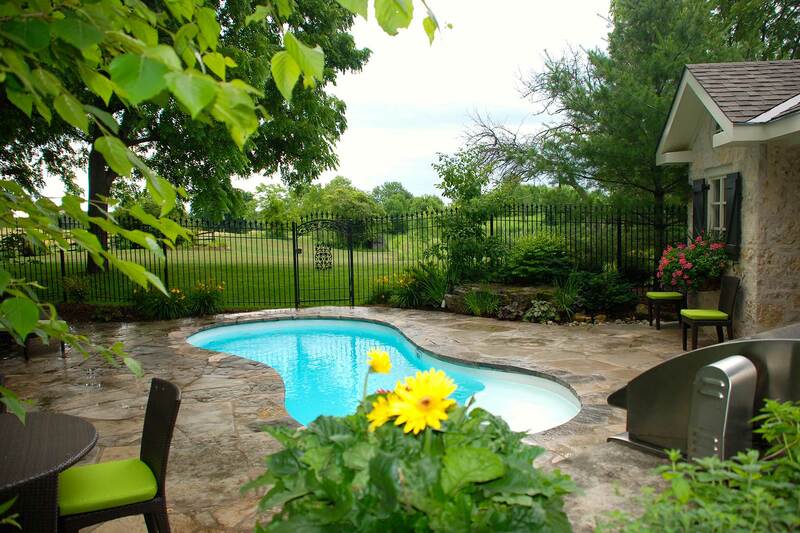 Plunge pool with solar self and swim jets. Custom cabana with traditional mortar joints and hand-forged wrought iron ornamental pieces to complement the century-old farmhouse. Is equipped with a full bar/wet bar, full-sized fridge, TV, change room, storage area and accordion windows. 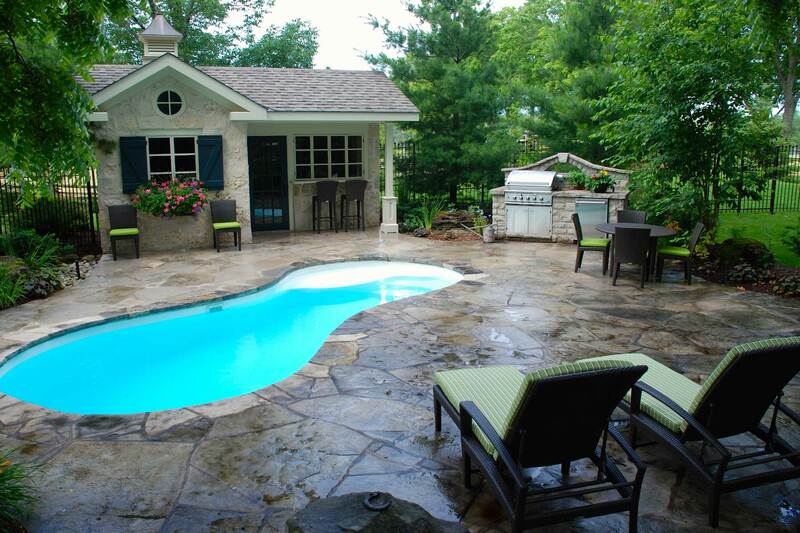 Stone fire pit strategically placed to keep ashes, sparks, and smoke away from the living area. 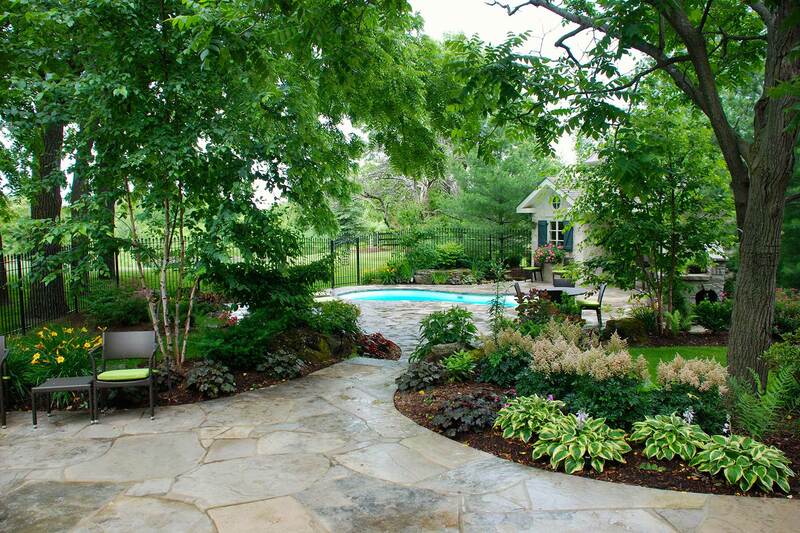 Natural stone walkways throughout garden areas. 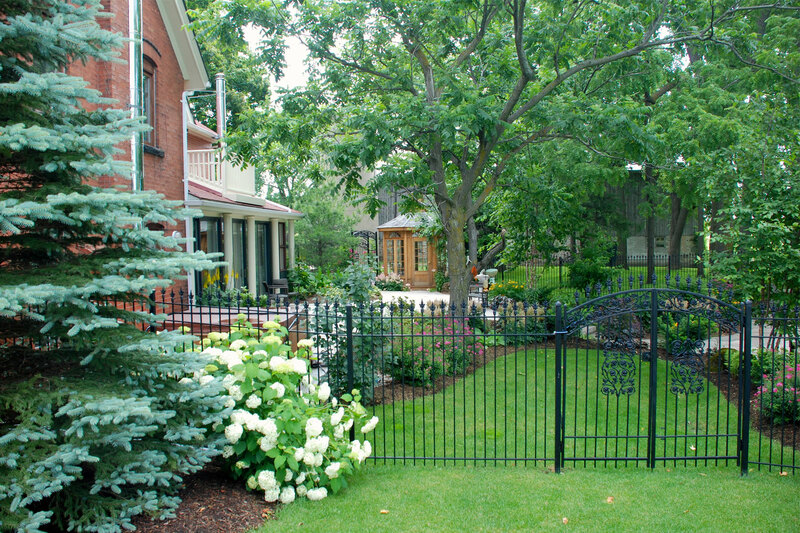 Custom wrought-iron fence surrounding backyard. 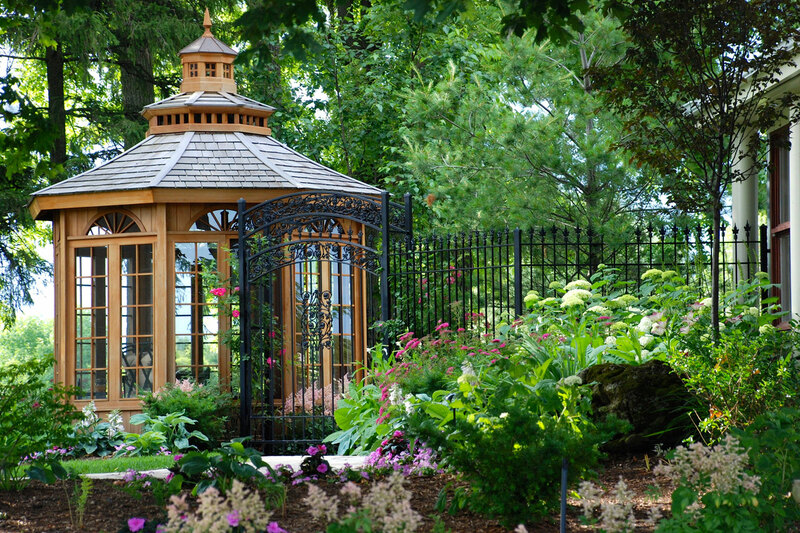 Glass tea house at garden entrance. Seeking to welcome rural visitors with timeless, architectural icons.